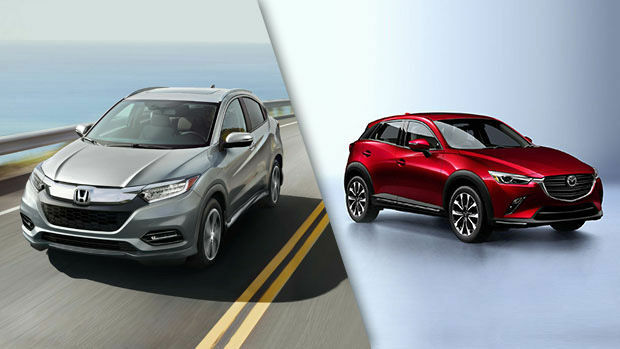 Let's compare the 2019 Honda HR-V to the 2019 Mazda CX-3 offered by the Spinelli Mazda dealership. 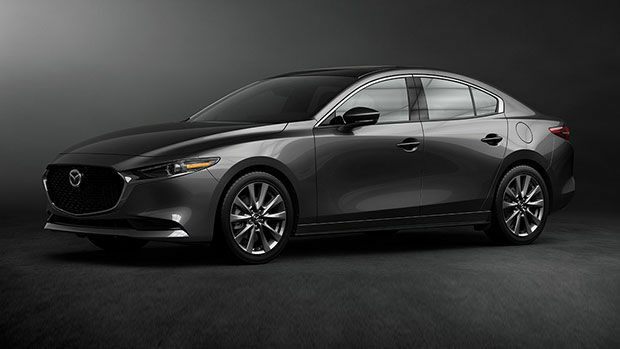 Take advantage of our promotions to buy the Mazda SUV you have been dreaming of for so long! Check out the new 2019 Mazda CX-3 at your Spinelli Mazda dealership. In addition to the SKYACTIV-G technology, the CX-3, near Ville Saint-Laurent, receives several innovative driver- assistance systems. We offer you an exceptional choice of Mazda SUVs. Take advantage of our incredible promotions and the many benefits of our Mazda financing plans to purchase the CX-3, near Laval, that you have been dreaming of for so long. More powerful and slightly less fuel-efficient than the 2019 HR-V, the 2019 Mazda CX-3 is powered by a 2-litre DOHC SKYACTIV-G engine that delivers 148 horsepower and 146 lb-ft of torque. It consumes only 8.3 L/100 km in the city and 6.9 L/100 km on the highway. Depending on the model, the 2019 Mazda CX-3 that you will find at your Mazda dealership in the West Island, near Montreal, can be equipped with i-ACTIV AWD, which monitors driving conditions 200 times per second. The 2019 CX-3, near Laval and Montreal, also features the SKYACTIV dynamic vehicle control with G-Force Control (GVC), which improves vehicle road handling and stability, especially during emergency manoeuvres. Book a test drive with the new Mazda CX-3 with a Spinelli Mazda advisor and turn your dream into reality!